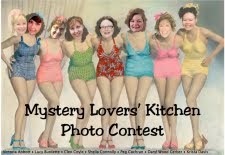 Mystery Lovers' Kitchen: Welcome to Barbara Early! 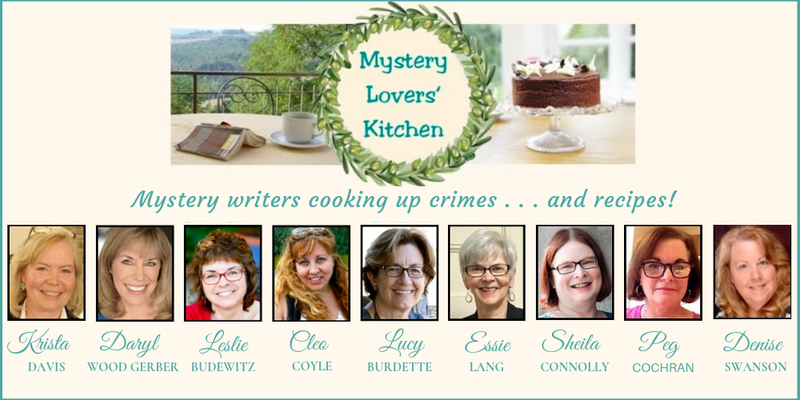 A very warm welcome to Beverly Allen, author of the Bridal Bouquet Shop Mysteries. FOR WHOM THE BLUEBELL TOLLS, the second book in the series, was just released this month! But don't miss her amazing recipe for Sponge Candy! I was delighted to be invited today! Even though my current series isn’t a culinary mystery, I spend a good amount of time in the kitchen. I’m a bit of a down home country cook, more at ease at big family dinners and the occasional church potluck, than I am familiar with haute cuisine. But I love cooking for people, seeing friends and family gathered around the table. 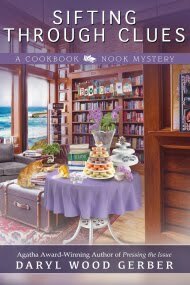 Audrey Bloom, the amateur sleuth in the Bridal Bouquet Shop Mysteries, isn’t much of a cook, I’m afraid. She’s more at home in the flower shop she owns with her cousin Liv--or running around Ramble, Virginia, solving murders. Rather, she cooks up bouquets for brides, based on the language of flowers. It must work, since all of the marriages that have been blessed by her bouquets are still intact. 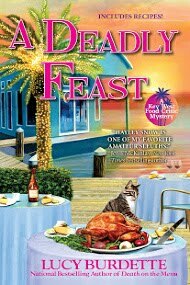 Still, she has a sweet tooth, and local baker Nick Maxwell keeps her supplied with all the carbs she needs to keep her energy up while finding clues and following suspects. Nick has inspired me to take a “baking break” more than once while writing. When I was going through my recipes, deciding what to share today, I recalled this regional favorite. And the timing couldn’t be more perfect, just before Presidents’ Day. Kids might enjoy helping with this one--just be careful with the heat! If you’ve never had sponge candy, don’t expect it to be spongy in texture or to taste of sponges. 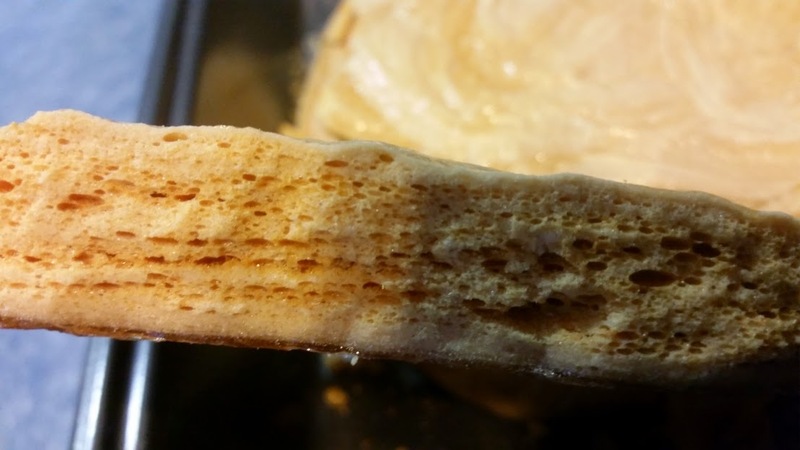 The name comes from all the bubbles in the finished candy, giving it the appearance of sponges. It’s actually quite crunchy under a layer of chocolate. And since that crunch is 99 percent sugar, it melts away on the tongue almost immediately, much like cotton candy. 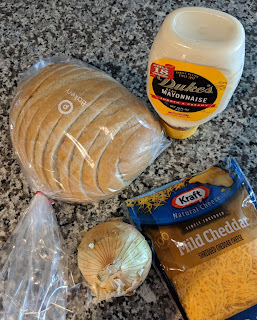 Half recipe, half science fair project, this Western New York staple is almost as much fun to make as it is delicious. In a large saucepan (at least 2 quarts. Trust me, this stuff EXPANDS!) 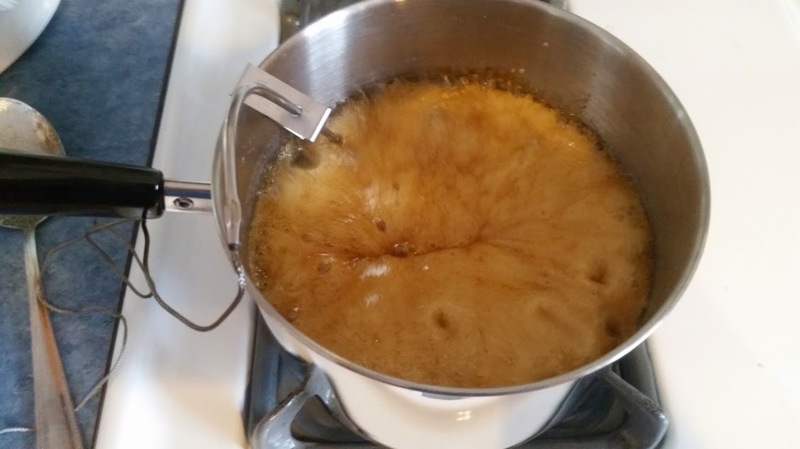 combine sugar, corn syrup and vinegar. Heat over medium heat until all the sugar dissolves and mixture begins to boil. You’ll need a candy thermometer for this. Continue to heat the mixture until it reaches 300 degrees F. There’s no need to stir at this point. It will bubble pretty well on its own. When the thermometer reaches 300 degrees, remove the pot from the heat, QUICKLY stir in baking soda, and then pour into an ungreased 9 x 13 baking pan. 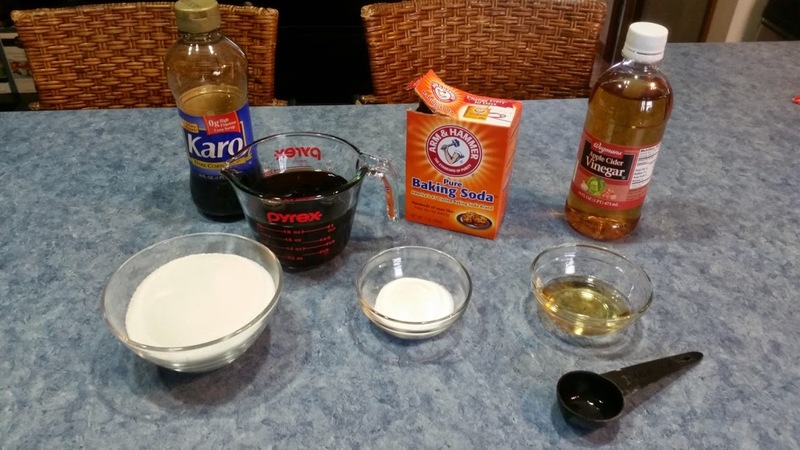 As soon as that baking soda mixes with the vinegar, it will bubble like those science fair volcanoes. Don’t over-stir it, or you’ll stir the bubbles right out. And don’t spread it out in the pan. Just dump it in and let it do its own thing. Allow to cool completely. 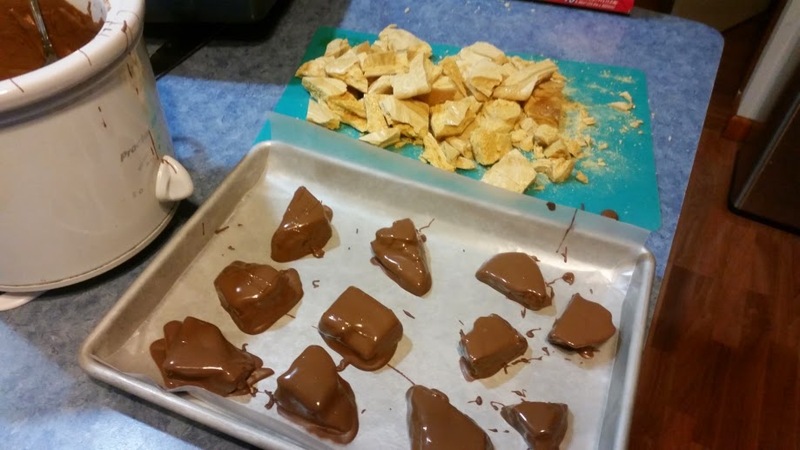 If the recipe is successful, the sponge candy should be crunchy, brittle, and with obvious holes. Break or cut into smaller pieces. If desired, coat with your favorite melting chocolate. Set on a tray lined with waxed paper or foil and put in refrigerator for ten to fifteen minutes, until the chocolate is well set. Store in an airtight container in a cool, dry place. Quick tips: Some plastics will melt at 300 degrees F, so use a metal spoon! And I recommend a metal pan over glass, because if the sponge candy sticks, metal plans can flex, helping with easier removal. You can melt your chocolate in a double boiler, in the microwave, or I prefer a slow-cooker on low. And yes, it’s basically sugar mixed with sugar and covered in chocolate. What’s not to love? 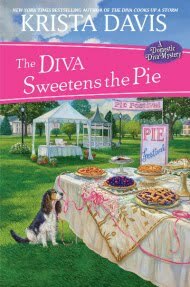 Beverly Allen (aka Barbara Early) writes cozy mysteries with a healthy dose of comedy and sometimes a splash of romance. 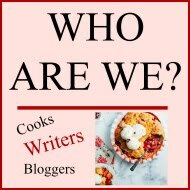 The first two books in the Bridal Bouquet Shop Mystery series: Bloom and Doom and For Whom the Bluebell Tolls are now available from Berkley Prime Crime, with the third, Floral Depravity, set to release in October. Barbara grew up in the suburbs of Buffalo, NY. 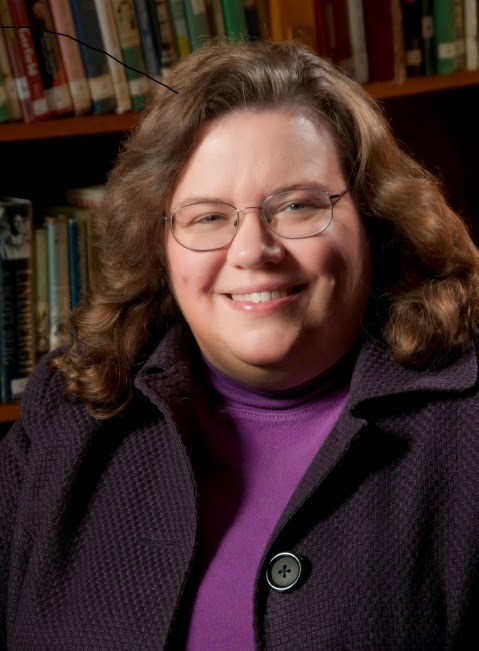 When not reading or writing, she enjoys cooking, crafts, home-improvement projects, and spending time with her husband, daughter, and four naughty, but adorable cats. Readers may friend her on Facebook, like her author page, and follow her on Twitter. 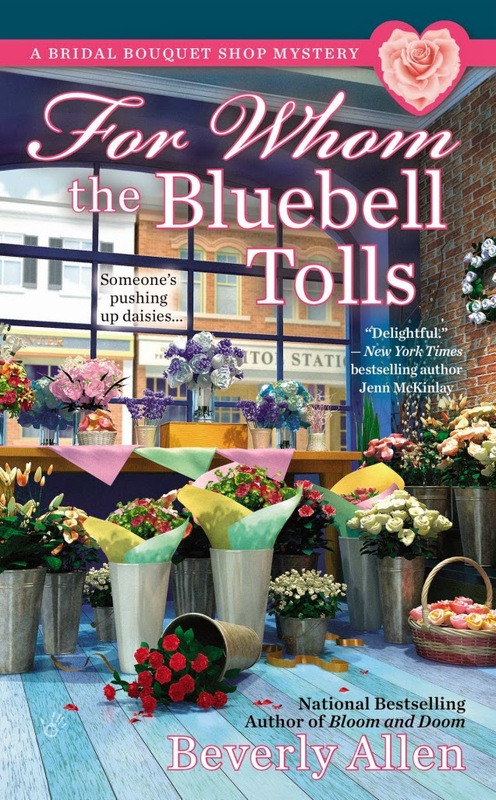 Don't forget to leave a comment to enter the giveaway for FOR WHOM THE BLUEBELL TOLLS. We'd like to know your favorite memory of cooking as a child. What? You didn't cook? Then what's your favorite flower? Thank you for the giveaway! I most remember as a child making Christmas tea cakes with my mom. Also, when she or my grandmother baked pies, she would give me a bit of pie dough to roll out and play with. I loved baking with my grandmother, as well. 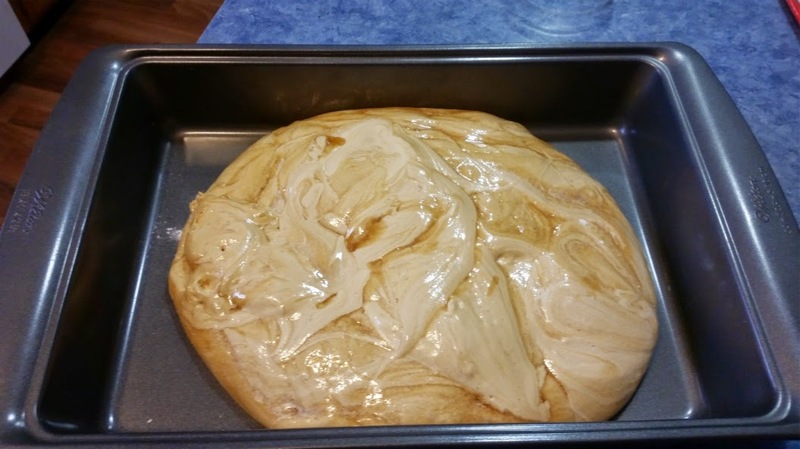 When I had pie dough to roll out, we then sprinkled cinnamon sugar on it, and baked it. Yummy! I still do that today with any leftover pie dough--although I must confess, it's usually the store made stuff. Just too convenient. This may sound awful. My brother and I went through a phase where we added food coloring to everything we made. Even ice cubes. Poor Dad would get home from work to green ice and blue cake with purple icing. 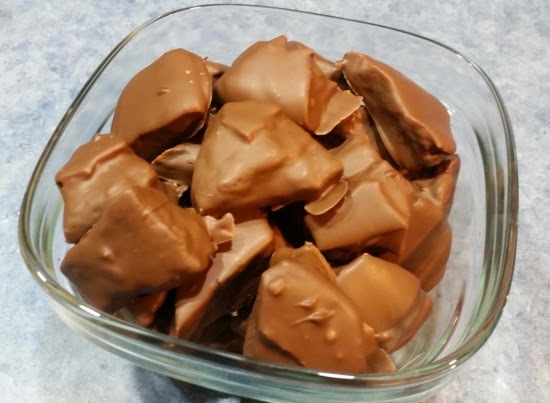 Thank you for the Sponge Candy recipe, and the candy sounds yummy. 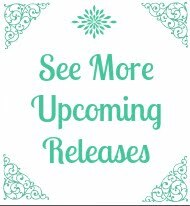 FOR WHOM THE BLUEBELL TOLLS is on my TBR list. I'm looking forward to reading it. Thank you for the giveaway. I hope you love it, Jen! This candy is one of amy favorites. My husband introduced me to what the Australians (and others) call honeycomb candy. I will have to try making it myself. One of my favorite memories of cooking as s child was licking the beaters to "help" my mom make chocolate chip cookies. 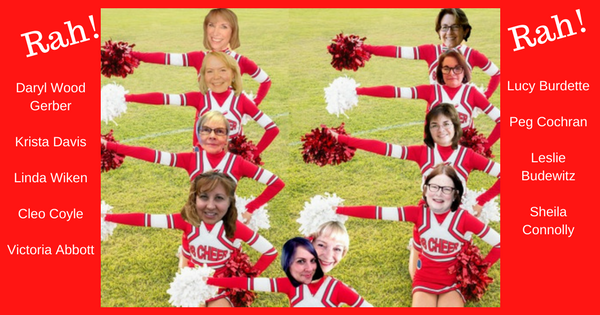 I'm not sure how much help it was, but it was always fun. Yes, I've heard of honeycomb candy. I've also heard of molasses puffs, which I don't know is the same thing. And when you search for sponge candy on Amazon (Yes, it's there), Cadbury Crunch shows up, so I'm wondering if that's similar as well. Good things catch on! I was told by my mother that one of my first sentences was to ask to lick the bowl, and that I enjoyed watching cooking shows with her when very young. My mother and grandmother made everything from scratch so my sister and I were given small tasks here and there. Thanks for the giveaway. Now they warn you against bowl licking. Nice to meet a fellow survivor! Thanks for the giveaway. My favorite memory is baking with my grandmother. I would go to her house and ask to bake and she would very patiently help me every time. My mother didn't cook a lot, but when she did I helped. She taught me how easy it is to make a pie ,crust and all. You sound like my kind of cook. I think this recipe is easy enough for even me to try---and it sounds good, too! I could much on it while reading your book. Thanks for the contest. My mother wasn't a good cook and I have a huge sweet tooth so I realized that if I wanted sweets I had to make them. 2 of my friends also loved to bake so we would after school or on the weekends. I remember making fudge and divinity with my mom as a little girl. More often than not, they wouldn't set, but we had fun together. Now I'm the official fudge maker in the family. Everyone expects it every Christmas as part of their stocking stuffer. Hope you enjoy it, Patty! I remember making Mac and cheese, hot dogs, and peas for family meal when I was 10 to get my Girl Scout cooking badge. I think this would be way too sweet for me. Thanks! Most things are fabulous covered in chocolate--and this is a real winning combination. Thanks for letting me visit! I think I could make and eat this - sans chocolate ... Thanks. It's good that way, too!